So many amazing books have come out these last two months, and it’s been my privilege to read and discuss them. Here are another two. 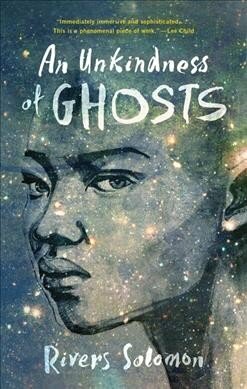 When I finished An Unkindness of Ghosts and put it down, I almost immediately picked it up again to re-read from the beginning, to admire how early certain seeds were sown, how thoroughly integrated were its plantation roots into space-faring soil. This book is not an allegory for life on plantations: it’s a transposition, and through it an interrogation, an investigation, of the falsehoods and broken memories of a nightmare past. It drags up pervasive stereotypes of happy mammies and consenting love between slaver and enslaved and vivisects them, the dextrous voices of characters like Aint Melusine and Giselle deployed like scalpels to part the inflamed skin of bad history. The Owens women have always had grey eyes, a spark of magic, and bad luck in love. Legend has it that their ancestor, Maria Owens, abandoned by her lover and accused of witchcraft during the Salem trials, cursed her bloodline to prevent her daughters suffering as she did. But Maria’s journal also urges her descendants to “fall in love whenever you can,” and the contradiction between curse and command is at the heart of Francis, Jet, and Vincent’s lives. Coming of age on the Upper East Side with fashionable parents suspicious of the extraordinary, they explore and develop their powers together in secret — all the while resisting, and failing to resist, falling in love, with catastrophic consequences. Other than those, I read Naomi Alderman’s The Power, Brooke Bolander’s forthcoming novella The Only Harmless Great Thing, and am halfway through Fran Wilde’s Horizon, the conclusion to her Bone Universe trilogy. I hope to fit Karin Tidbeck’s Amatka and Max Gladstone’s Ruin of Angels in by the weekend, Can*Con and two weeks of upcoming travel notwithstanding! More on which later. 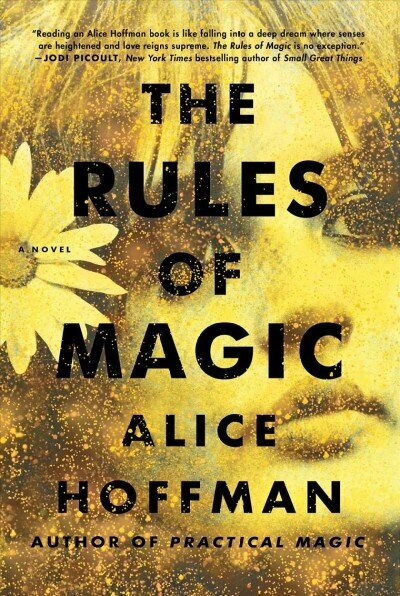 This entry was posted in Uncategorized and tagged alice hoffman, novel, npr, review, reviewing, rivers solomon. Bookmark the permalink.